Looking for a cartoon maker? Cartoons today are no longer just for entertainment or a show. On the Internet, you can find many animated clips on serious topics: political, educational, and so on. Cartoons are not just for kids any more – they’re watched by everyone: teens, young adults, and older people too. So, why not have a go at this popular genre yourself? Make your own cartoon, share it on the web, and maybe you’ll wake up famous one day! A good place to start would be our instructions on how to make a cartoon animation! 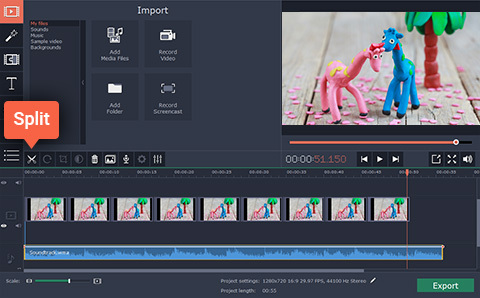 The simplest technique for a first-time cartoonist is stop motion. In stop-motion cartoons, the objects (for example, clay figures) are moved step-by-step by the cartoonist. Each small increment is shot using a photo camera. Then the photos are imported into a cartoon creator app and placed one by one into a sequence of frames. When you play the resulting film, you’ll experience the illusion that the objects are moving by themselves, just as they would if they were alive. So, think about a plot for your cartoon and let’s get started! Follow the steps below to start creating your first cartoons! 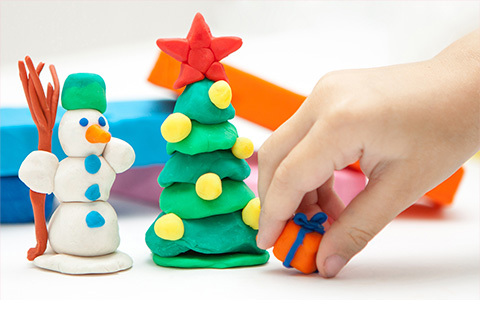 Prepare your clay on a work table, and make the figures and scenery for your cartoon. To keep your figures steady, sculpt them around wire skeletons. Place your camera on a tripod or a flat surface and start your shoot, making 2-3 frames of each action of the characters. The most important thing is to shoot from the same position for all frames. After the shooting is done, connect the camera to your computer and transfer your photos to the hard drive. 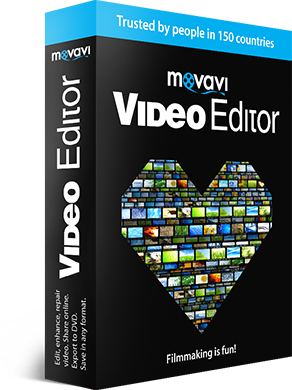 Download and install Movavi Video Editor for PC or Mac OS. Follow the onscreen instructions to install the software. Click Add Media Files and select the photos you want to use in your cartoon. The chosen images will be automatically added to the Timeline. To put the photos in the order you want them to appear in your cartoon, just drag them around the Video Track on the timeline. Then hit the Transition Wizard button (right above the timeline) and set the timing for the frames in the Image slide duration field (100-300 ms is optimal). 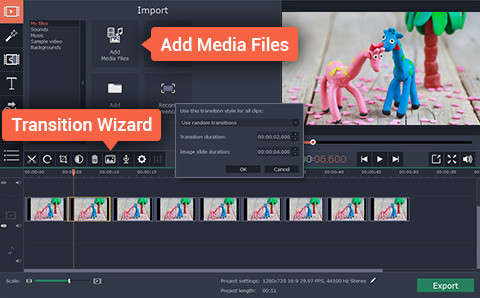 To work with audio files, click Add Media Files again and select an audio file for your cartoon. If the audio track is longer than the video, you can simply cut it: click on the audio file on the timeline, set the red marker to the required start position, and click the Split button as shown in the screen image. This separates your audio file into two parts, so you can select the unnecessary section and just hit Delete on your keyboard. Now click Export, and select the appropriate tab in the left part of the pop-up window. For example, to save your video on your hard drive in the format of your choice, click the Save Video File tab. If you want to view the video on your mobile device, select the appropriate tab. If you want to upload your cartoon to YouTube or Google Drive, open the Upload online tab. Now you know how to create cartoon movies with the Movavi’s cartoon editor! Simply the best way to record from your screen in HD. 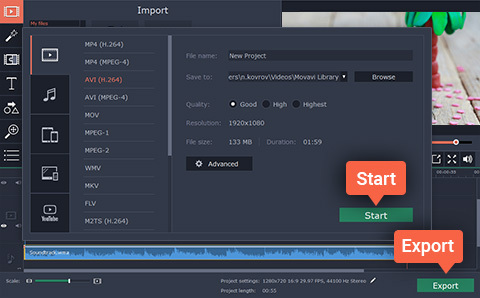 Make video footage of any application, record online streaming video, webinars, even Skype calls, and save clips in all popular formats for viewing on multiple devices.